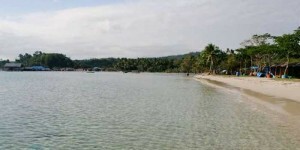 Nambo beach is located in south east Sulawesi, 12 km south side of Kendari city. 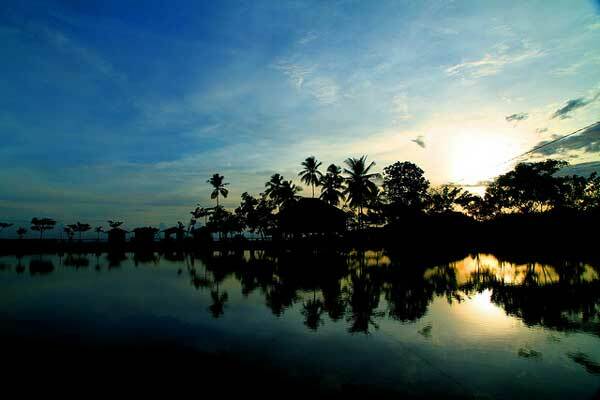 It is one of favorite beaches in south east Sulawesi. In holidays, many tourists come into this beach. That made local government of Kendari had some restorations in some facilities such as parking lot, toilet, and some gazebos, so tourist can feel more comfortable. In future, nambo beach will be one of main tour objects in Kendari city. The rug of white sand in Nambo beach is a wonderful view in this place. Tourist can enjoy many activities here, e.g: playing with sand and sea, running, beach volley, and many others. The coconut trees which neatly lined up make this beach even more beautiful. You can relax under the coconut tree while enjoying young coconut that you can buy from nearby seller in the beach. If you want to see the beach with sunset view, come in afternoon. Besides enjoying the natural beauty of Nambo beach, you can also watch the Bajo tribe fisherman activities which live near the beach. The main occupation of Bajo people is as fisherman. They sail and look for fish. 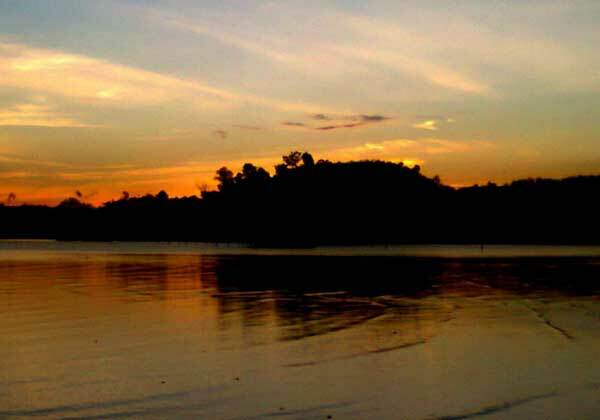 Nambo beach is situated in Nambo sub district, Abeli district, Kendari, south east Sulawesi. Tourist can reach Nambo beach easily by public transportation or personal car. If you’re from Walter Monginsidi airport, it will take around 20 minutes. But if you’re from Kendari harbor, you can take traditional boat called “ketinting” or “kole-kole”. To support tourist’s comfort, many facilities are available here, such as parking lot, toilet, gazebo, and local eatery with various kinds of product. If you want to stay overnight, nearby Nambo beach serves many choices for accommodation. From average class inn, till starry hotels. Some recommended hotels near Nambo beach are Plaza Inn and Swiss-Belhotel Kendari.